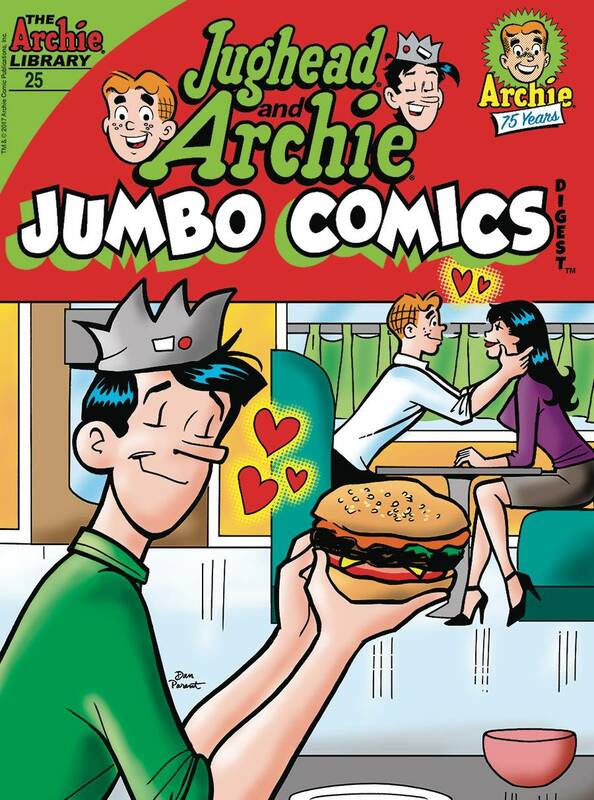 Archie and America's favorite couch potato, Jughead, are here to bring you hours of entertainment in this jumbo-sized comics digest, featuring a brand new lead story you won't want to miss! In 'Child's Play,' Archie and Jughead get a gig playing music on a local kids' show. Unfortunately, two lovely assistants on the show distract Archie, showing kids that triangles are not just for geometry!